In a few days time the 10th anniversary of September 11th will be upon us, a date that ten years ago saw an atrocity perpetrated against the United States, and I’m sure there is no need to remind anyone of what happened on 911, and now there is a iOS app been released to commemorate that day in American history. 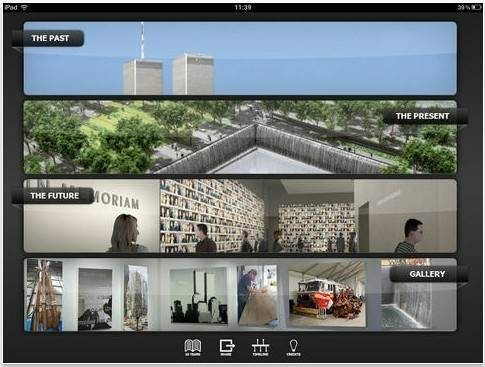 The app is called The 911 Memorial: Past, Present and Future, and the iOS app features in excess of four hundred dramatic and detailed images along with numerous hours of video footage that tells the story of the Twin Towers, and never before seen videos of the attacks on The World Trade Center. According to the guys over at Redmond Pie, Steve Rosenbaum picked the Apple iPad as he believed the Apple tablet was “best suited” for telling the story, and for those wishing to check out a video of The 911 Memorial: Past Present and Future app in action you can do so by hitting up www.911memorialapp.com. The 911 Memorial: Past, Present and Future app for the Apple iPad is available for free up until the 12th of September, after that date the app will cost you $9.99 to download to your tablet, and of course you can grab the app right now from iTunes.